We know a meal can mean a lot. Thank you for visiting Support Suppers. Allow us to tell you a little about ourselves. My name is Kate. I am a mother of two energetic little boys and wife to an encouraging husband. I took a break from a career in corporate sales to pursue a childhood dream of being a small business owner and to start a business that fulfilled my deep desire to do something that was truly meaningful to my community and brought me happiness. 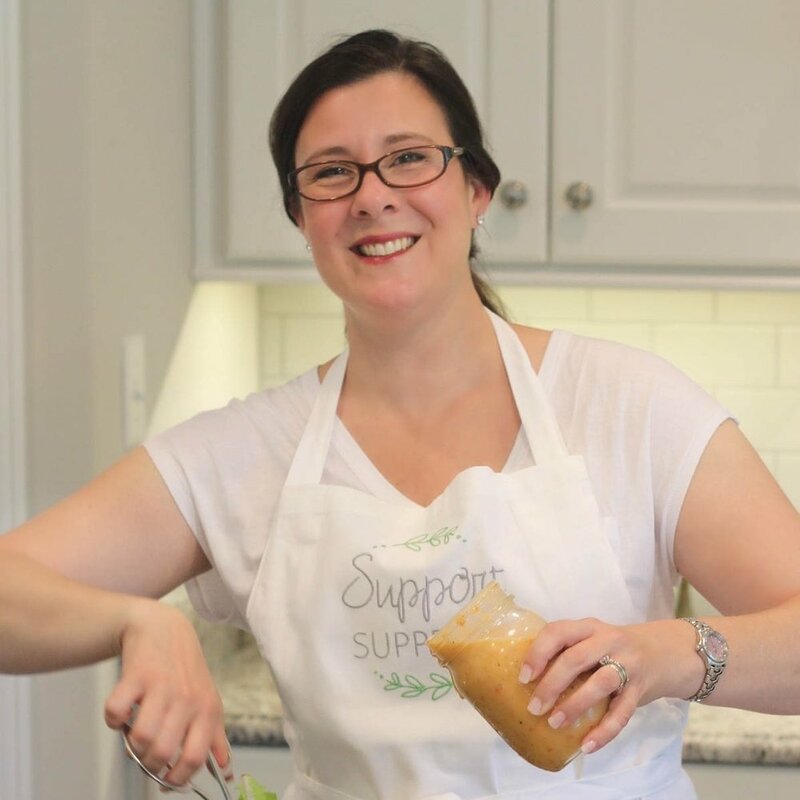 My sister, Nicole, also a mother of two young ladies and wife to a supportive husband, who was always known as the family “foodie”, is along this journey to help me prepare and deliver our home-cooked meals. The idea for Support Suppers was nurtured by a series of events in which I wished to send meals to grieving families that I didn’t live close to. At the same time I was blessed to be on the receiving end of meals that supported me and my family when we experienced live-changing events. This age-old tradition of supporting our friends and neighbors with home-cooked meals has always been one that brought me much happiness, but as a full-time working mother I often found it difficult to find the time to participate. Support Suppers is a service designed to help friends, family and neighbors, nearby who may not have the time to prepare a meal themselves or far away who might not be close enough to deliver a meal, send a complete ready-to-serve and easy to clean-up meal to a Richmond-Area individual or family who may experiencing a life-change. See the Our Mission blog post for the full story. Each meal is delivered cooked and ready to serve in a stylish, reusable dual-compartment thermal bag to keep the meal at temperature until the recipient is ready to eat. We’ve been there and know what it's like to just need to accept the help of friends, family and neighbors when they offer, so all of our meals are designed to simply bring a moment of peace and happiness to the recipients with a thoughtfully prepared meal adorned with charming surprises that they can enjoy in the comfort of their own home in the company of their family. For more details on ordering and delivery, see our Help Page.